Next month I am starting a PhD program in the History and Philosophy of Science. In light of that, I thought this would be a good time for me to organize my thoughts on some aspects of the current state of graduate education in order to approach the project as realistically as possible. With that in mind, the following are some musings concerning: (1) the general statistical unlikelihood of my success, (2) the realization that academic “success” isn’t as glamorous as I was once led to believe, and (3) the diminishing intellectual returns of advanced philosophical education. The end goal of an academic career in any discipline is a tenured professorship. The problem, however, is that the odds of achieving such a position are quite slim. In order to visualize just how unlikely it really is, imagine a series of five sieves, one after the other. Like it or not, one’s academic pedigree (both graduate and undergraduate) is extremely important for success in academia, especially in philosophy. Among the graduate students at well-ranked PhD programs in philosophy, approximately a third received their undergraduate degrees from just eight universities (Chicago, Columbia, Duke, Harvard, Penn, Princeton, Stanford, and Yale), and the majority of the remaining students come from undergraduate institutions with top 50 US News rankings . While gaining admittance to an elite college for one’s undergraduate education obviously doesn’t guarantee that one will succeed in academia, it is quite clear that doing so confers quite a hefty advantage compared to those who attended schools lacking such reputations. Graduate admissions in philosophy have become increasingly competitive in recent years, many schools accepting fewer than three percent of applicants. Moreover, the standards utilized by the particular admissions committees are almost entirely opaque to applicants, and, as a result, professors and students often refer to admission as being determined by a “roll of the dice” or a “spin of the wheel of fortune.” (I’ve personally heard them referred to this way by several well-known philosophers in casual conversation.) 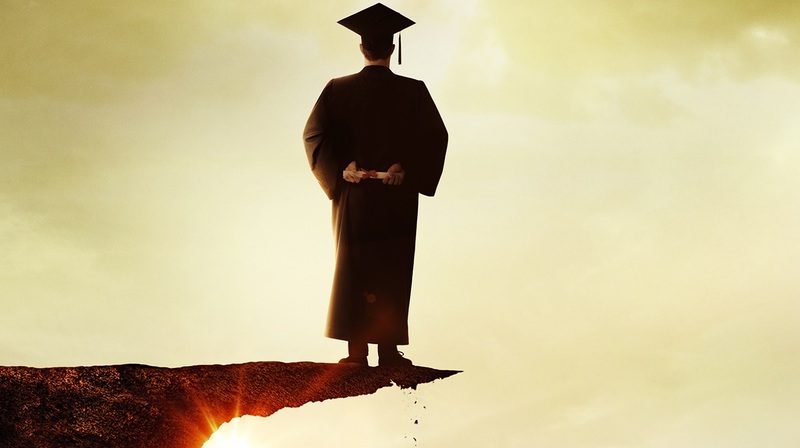 Regardless of the particular metrics used, the fact remains that the likelihood of getting accepted into a philosophy graduate program, even under the best of circumstances (i.e., perfect GPA, GRE scores, exemplary letters of recommendation, etc. ), is extremely slim. The numbers concerning the attrition rates at various schools are (perhaps deliberately) not very easily accessible. In some programs, I’ve been told that it is sometimes above 50 percent. Moreover, this number includes not only those that spent a year or two in the program and then decided to leave, but also those that invested significantly more time (sometimes upwards of 7-8 years) before leaving to pursue divergently different careers. Moreover, the loss of those years is not insignificant. One can find oneself starting a career in the private sector upwards of a decade behind other members of one’s age cohort, often with large amounts of debt from undergraduate tuition and any partially or completely unfunded graduate programs one has attended. The academic job market for philosophy is quite dismal. There are some disagreements concerning the actual numbers, but from what I can tell the rough odds that one will find any job teaching philosophy is around 24 percent, and the likelihood that one will find a tenure-track job is approximately 17 percent  . This is due in large part to universities eliminating tenured professorships in favor of cost-reducing adjunct labor. The transition has been dramatic. In 1960, only 10 percent of faculty were adjuncts, whereas now they are upwards of 75 percent . However, even if you are able to find a tenure-track position that you are highly-qualified for, unless the school you received your PhD from is sufficiently well-ranked in the discipline, it is extremely unlikely that you will be offered the position. For illustration, during this past year’s round of hires, a total of 37 percent of all tenure-track philosophy positions were given to individuals with PhD’s from the top-5 Philosophical Gourmet programs . If you do somehow manage to obtain an assistant professorship position, you then have to make sure to fulfill whatever requirements are necessary for the probationary 5-7 years before actually obtaining tenure. These requirements usually consist of (1) publishing at least one monograph (which requires navigating the highly competitive and complex academic publishing business), (2) publishing multiple articles in sufficiently well-respected journals, (3) instructing a full load of courses every year, and (4) performing all of your necessary faculty service obligations. I am unable to find any statistics concerning how often individuals are denied tenure (if anyone can find some please post them below). Needless to say, it is a difficult process, and being denied not only means suffering all of the previously mentioned problems (i.e., starting a new career a decade or more behind your age cohort, etc.) but also carries with it a strong stigma of failure . There are obviously idealized conceptions of the life of a tenured professor which are dashed when one learns of the real difficulties and stresses of trying to make a living in academia . However, even if one has no illusions about how difficult such a pursuit can be, there are various factors in the last few decades that have radically transformed the nature of academic employment that should give anyone considering seeking such employment pause (e.g. the increasing corporatization of academia , the academic incentive structure inclining individuals toward extreme specialization and away from interdisciplinary work, the politics of departmental tribalism , etc.). The critical thinking skills gained from a philosophical education are extremely valuable. However, after a few basic survey courses that cover the general landscape of questions, positions, and arguments, additional philosophical training falls prey to diminishing returns. Knowing some informal fallacies and being able to apply ethical theories to real world moral dilemmas is important to be able to navigate the social and natural world effectively, whereas knowing how to espouse an esoteric interpretation of the Hegelian master-slave dialectic or talk at length about two-dimensional semantics is significantly less helpful. Put simply, the particular skills honed and topics discussed at the graduate level of academic philosophy are not only impractical and social limiting (since the community capable of understanding your insights concerning philosophical minutia shrinks as one’s interests become increasingly specialized), but can actually be actively harmful, since during this time one is failing to cultivate other skills that are relevant and transferable to “real world” concerns and the job market outside of academia. With the above concerns in mind, it is not terribly surprising that there are many who have transitioned out of pursuing academic philosophy as a career . I guess only time will tell whether I turn out to be one of them.